The Park & Sun Sports Soft Touch tetherball delivers exceptional performance for both indoor and outdoor games, friendly gatherings at the park, playground, or even your backyard. This regulation sized, machine-stitched Soft Touch tetherball features a nylon-wound bladder, an inset valve stem and an internal steel swivel hook attachment which secures the ball to the cord. 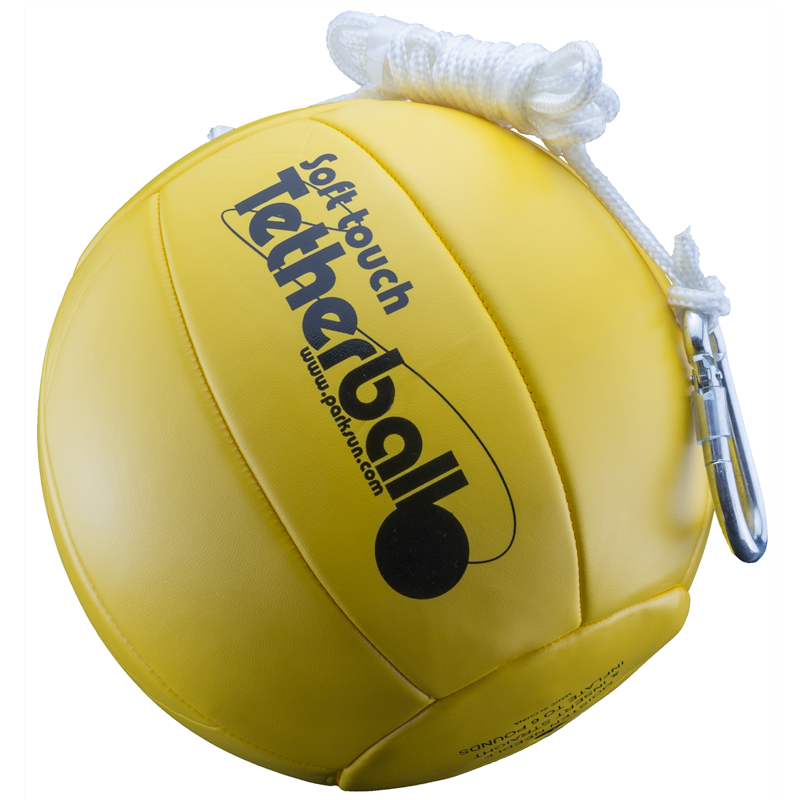 The soft and durable synthetic material of the padded tetherball cover lessens the impact to hands, wrists and arms when hit. A heavy-duty nylon cord that measures 7' in length and 6 mm in diameter is also included. The Park & Sun Sports Soft Touch tetherball makes for a great replacement to your old, worn-out rubber ball. 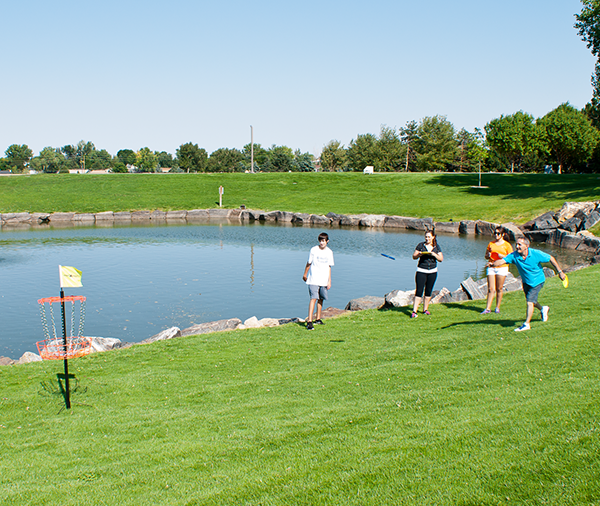 Need a complete tetherball set? 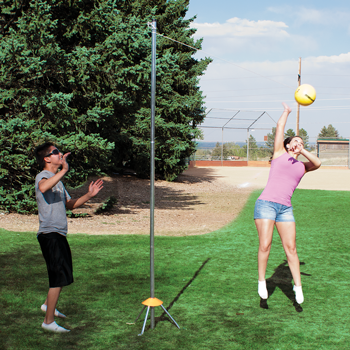 Choose between the 2-piece pole Tetherball Pro Set, the 3-piece pole set Tetherball Deluxe Set, or want to play on the go 3-piece pole Portable Tetherball Set ; with all other components exactly the same. 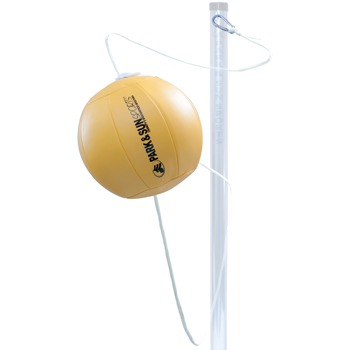 Standard sized tetherball made with softer volleyball type material which is easier on the hands and forearms. Durable and softer than a traditional rubber tetherball, the Soft Touch Tetherball is a perfect replacement tetherball and will provide hours of play. 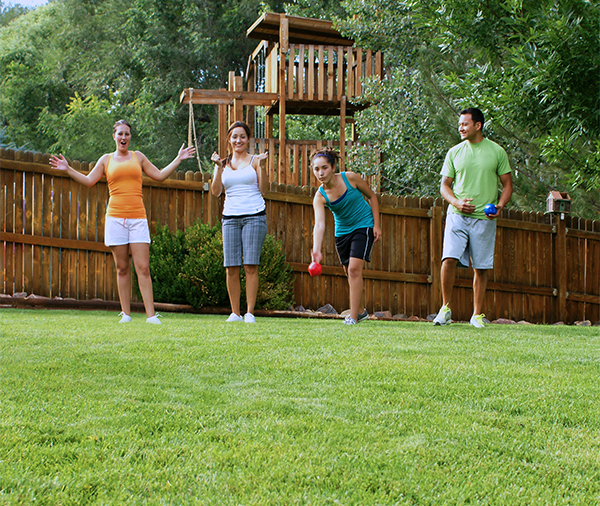 Quality bocce sets designed for the serious player, or just fun for backyard barbecues and sunny afternoons at the park. 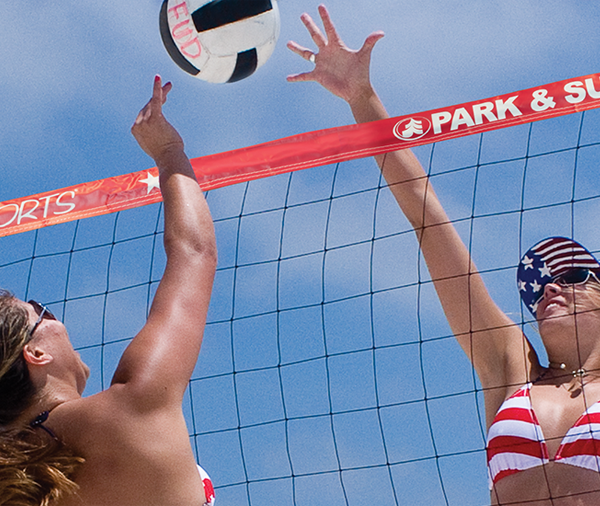 Park and Sun Sports is the official volleyball net supplier to some of the nation's top volleyball tournaments and leagues. Demand the original, demand the best!